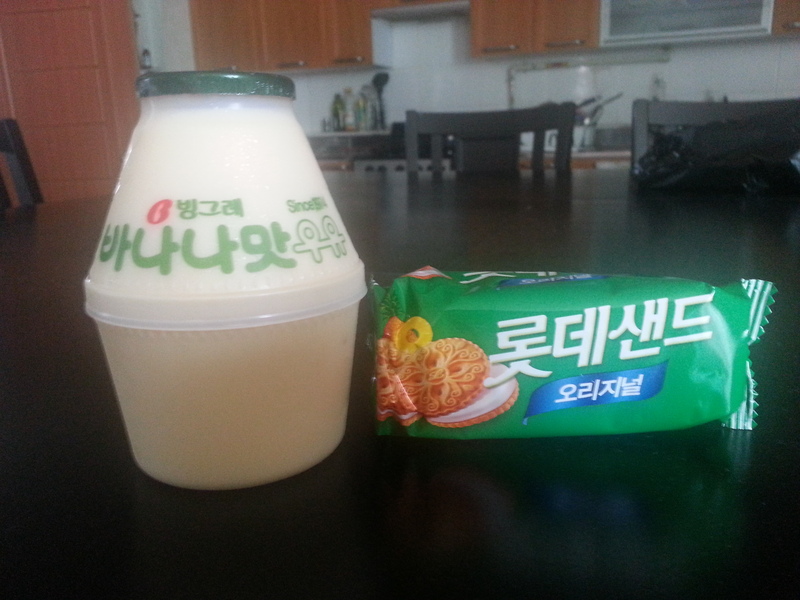 I miss Korean snacks… I love the sandwich cookies with cheese… just like what you got but cheese flavor… OH and the sweet potato crackers. 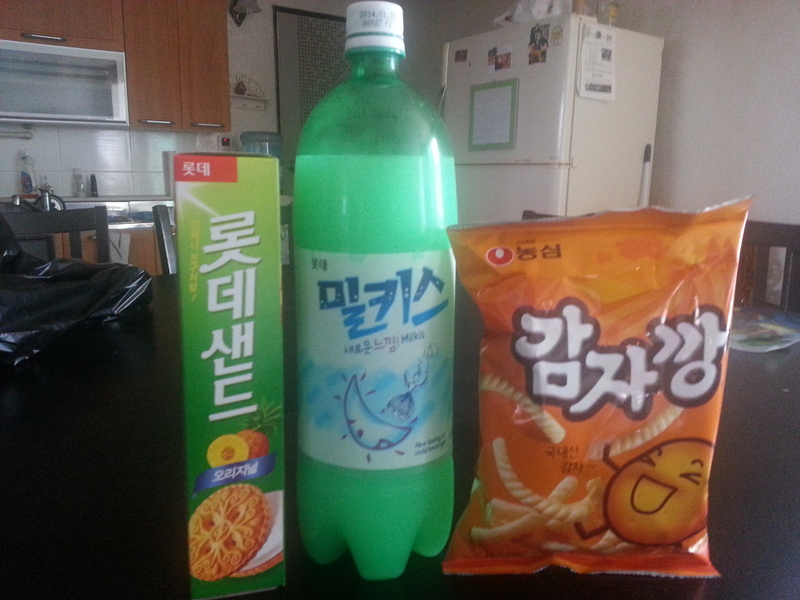 *drool* I miss Korean snacks. OH MY GOODNESS! PINEAPPLE COOKIES! I love those things! I much prefer the strawberry milk to the banana, but this place didn’t have any. 😦 I am happy to send you some cookies when you get settled in! !